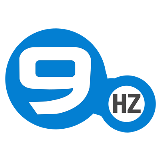 NineHertz Client Reviews, Rating and Analysis Report. The Ninehertz is an ISO 9001: 2008 certified app Development Company since 2008 and providing the best possible solutions for any web and app related query since last 9 years. We mainly concentrate on iPhone app development, Android application development, Website development and Web designing with more than 1000+ projects and 450+ clients. Compared to companies I’ve worked with in last 4 to 5 years, Nine Hertz has provided a skilled team and they didn’t try to sell resources like other companies do.. We had very good experience with this team and I recommend this company as a strong offshore developer. Thank you! Working with The NineHertz was a great experience in terms of timeliness and quality. They were always prompt in their response to our queries and gave us good suggestions and solutions throughout the development phase. The NineHertz has been handling all website development and mobile application development projects for us since the last 2 years and has never failed us. We are more than happy to stay associated with them. Looking forward to doing more projects with them. NineHertz is helping us build a Dating Application. 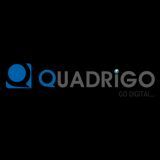 The company is great to work with, delivers on time and the staff is very knowledgeable. Most of our communication is with their project lead who has provided us with continuous support and responds to all our queries and updates promptly. I am very pleased with the quality of their work. The team knows how to communicate effectively and would keep me updated throughout the development phase. They are very efficient at what they do. I am still doing business with them working on upgrades and other projects.